AcuityAds is a fast-growing, publicly-listed technology company in the dynamic environment of Digital Advertising Technology. Founded in 2009, AcuityAds has achieved enormous growth and recognition. Thanks to our hardworking employees we have ranked on Deloitte’s Fast 50 and Fast 500 lists 4 years in a row. At AcuityAds, a modern corporate culture combines with rewarding challenges where your impact will be clear for all to see. 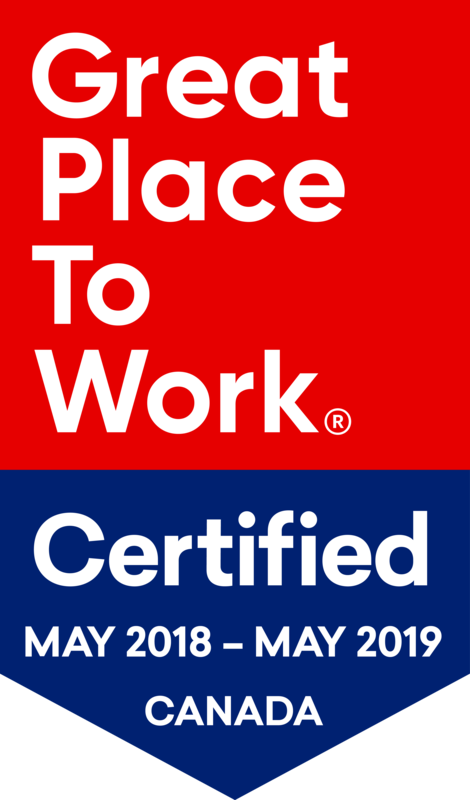 We have been certified as a Great Place to Work® after a thorough and independent analysis conducted by Great Place to Work Canada. This certification is based on direct feedback from employees, provided as part of an extensive and anonymous survey about the workplace experience. We don’t just offer competitive salaries and benefits, at AcuityAds, we value the health and happiness of our employees from a holistic perspective. Our corporate wellness efforts span from an in-house registered massage therapy service, to weekly catered lunches, a fully stocked and functioning kitchen, team gatherings, and more. We offer structured employee recognition awards and financial wellness programs. This is the perfect time to join our team. You have the amazing opportunity to make an impact in a big way in a company that is poised for growth. Our Acuitian way embraces Customer Service, Respect, a “Can-Do” attitude, Innovation, and Fun.